Refreshed much-like the Volvo S60, the 2014 XC60 sports an all-new defined hood, a wider front grille, bolder headlamps, daytime LED running lamps and new 18-inch Pan alloy wheels this model year. Its interior also sports revisions similar to the 2014 S60 sedan, giving the SUV new style and functionality. Aside from these changes, the XC60 comes with two new packages and receives updates to its pre-existing packages. 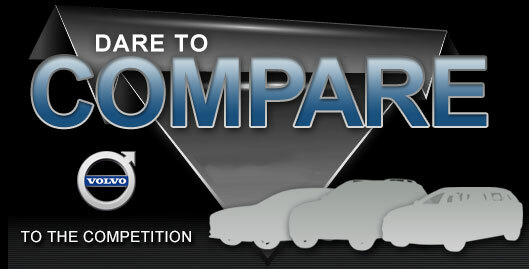 The modifications vary according to trim level and provide drivers with new features to utilize during daily commutes. Read our full review below to get full details on the 2014 Volvo XC60 in Dallas, then scroll to the bottom for additional facts and spec information. Entering 2014, the Volvo XC60 receives vast improvements to its interior, incorporating contemporary touches Dallas buyers will appreciate. The SUV shows off distinct features, such as new green illumination buttons, front door sill plates, cloth-covered B-pillars, a metal threshold for the cargo area, an off black dash top/steering wheel, a three-spoke steering wheel, stitching on the door panels and metal-trimmed air vents, and also dressed up each trim level with a new instrument cluster. Both T6 AWD and T6 R-Design models receive digital instrument clusters, while the 3.2 trim gets an analog one ?" mentioned in several 2014 XC60 reviews. The newly integrated additions provide drivers with a practical way to receive vehicle information and feature new functions for them to take advantage of. Offered on the 2014 Volvo XC60 in Dallas are three new package options: Blind Spot Information System, Inscription and Sport. The Blind Spot option is available on all trim levels and comes with lane change merge aid, front/rear park assist, cross traffic alert and a blind spot information system, while the Inscription Package, offered solely on the T6 AWD, features interior enhancements such as wood inlay, leather seats, an anthracite black headliner, Inscription aluminum door sill plates, a leather dashboard, Inscription floor mats, a leather front console cover and power lumbar support. The Sport Package, on 3.2 and T6 AWD trims, comes with 20-inch Titania alloy wheel and sport seats ?" 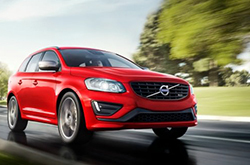 mentioned in several 2014 Volvo XC60 reviews. In addition to these new packages, the XC60's existing packages have been updated with fresh components, giving drivers more features to utilize. Is the Volvo Right for You? Compare the 2014 Volvo XC60 alongside vehicles like the 2014 Acura RDX, Audi A5, Mazda CX 7, Mercedes Benz GLK and the Infiniti EX35, and we're sure you'll find that the XC60 surpasses the competition in several areas. If the XC60's cutting-edge incar technologies and handsome design don't persuade you that it's the right vehicle for you, we're sure its affordable cost will. Compare its price against the competition and you'll surely see that it's a spectacular value, which makes it a top choice for many Dallas Volvo customers. Check out our Quick List below for more details about what it offers! Does the XC60 have what you want out of a vehicle? 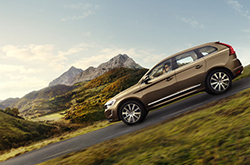 Check out Volvo of Dallas's overview above, as well as other 2014 Volvo reviews to find the right model for your budget. We are a top-rated Volvo dealership in Dallas, and it's our mission to provide you with reviews composed by some of the finest automotive writers in the industry. Loaded with matter-of-fact information and specs, each passage gives you complete details about all the XC60 has to offer Dallas drivers in terms of powertrain options and much more. 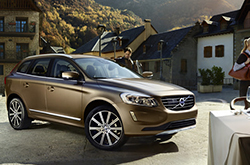 If the XC60 isn't a good choice for you, please review and compare Volvos other incredible vehicles now.